Caption contest: Can you hear me now? You are at:Home»MEU operations»Caption contest: Can you hear me now? Every once in a while you see something that makes you stop and ask, “Why?” One of those things is a noncomissioned officer blasting a few fellow Marines with a bullhorn while they stand just a few feet away. Can you explain what’s going on here? 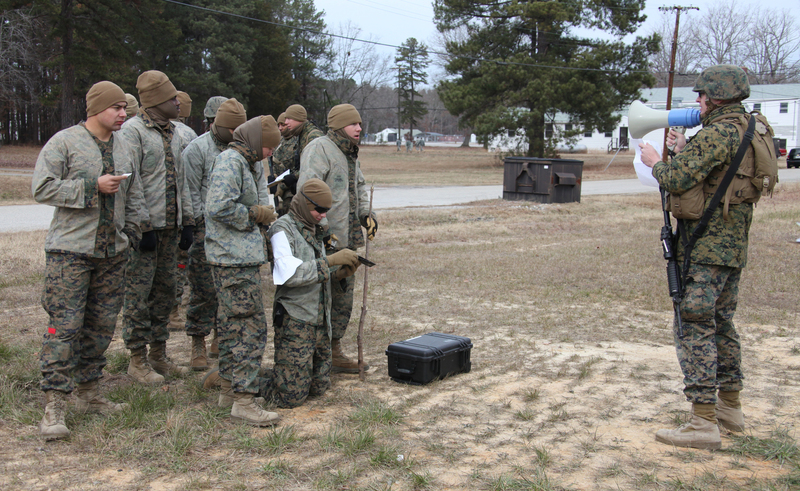 The original caption says the Marines were attached to the 22nd Marine Expeditionary Unit during predeployment training at Fort Picket, Va.
Let’s see who can write the best caption. Give it your best shot in the comments section, but please try to keep it fit for print. Obscene comments will be pulled down. now.. got some good news and some bad news Marines. BAD NEWS IS: chow hall is closed for an unexplainable reason, sooo.. MRE’s for everyone oorah? GOOD NEWS IS: My wife just saved us a bunch of money on our car insurance by switching to GEICO. I hope the Marines in the back can hear me now!! Is this thing on??? Gentlemen, due to the recently proposed budget cuts, we’ve been forced to requisition all of your rifles. 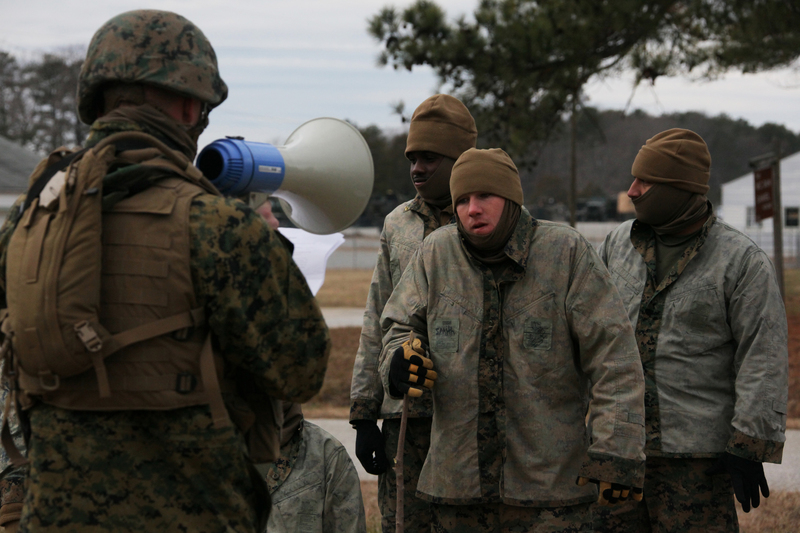 In their stead, you will each receive your military issue megaphone, as to better yell at the enemy. OK Marines, as many of you know, we now have females assigned to our unit. The ranking female Marine wants to know who left the seat up last night!!! No, your eardrums will NOT freeze out here.